Our 2014 Holiday Gift Guide selection will provide you with plenty of ideas for gifts that are ideal for your workshop warrior, automotive technician or heavy duty sleigh or truck driver. Not an easy lot to buy for! Find the perfect gift, order directly online, cross it off your list and even receive FREE shipping if your order is over $250. 1. Give the gift of more free time. 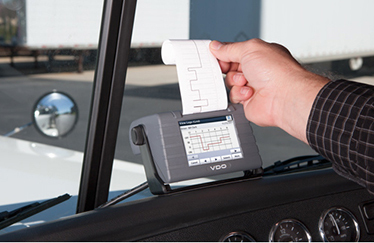 With an Electronic Logging Device such as the VDO Roadlog, your loved one will save hours on paperwork each month by automating their log books. The VDO RoadLog has no monthly fees or contracts and is the only ELD with a built in printer which helps make road-side inspections a breeze. The printout immediately eliminates any technology compatibility issues with having to transfer/display data electronically at a roadside inspection. And, because it is a thermal printer, it never requires any ink. Buy the VDO RoadLog now. Read our article on the VDO Road Log for more information on how it’s not only a great time saver, but it also helps with staying in compliance. 2. Safety in Numbers. Cold temperatures can lower tire pressure and cause tires to become under inflated. Not only can this lead to increased tire wear and lower gas mileage, but it also presents the risk of a blow out. A Tire Pressure Monitoring System automatically monitors the PSI and temperature of the tires to help the driver arrive safely at their destination. View our selection of tire pressure monitoring systems for trucks. 4. Tools to fit every need. From wrench sets and cordless screwdrivers to heat guns, drill drivers and lifts, we’ve put together a selection of tools fit for a king – or an automotive technician. Shop our tool gift guide now and get ready to cross even more off of your list. 5. Clean up Shop! Help keep those important work areas pristine with heavy duty vacuum power. Choose from Shop-Vac wet/dry vacuums ranging from 5 gallons on up to 16 gallons. And remember, if your purchase is over $250, shipping is Free – and the vacuum will be very handy when trying to get all those Christmas Tree needles out of your carpet. Shop our selection of Shop-Vacs here. 7. This gift packs portable power! Jump start cars, motorcycles, SUVs, pick-ups, boats, lawn tractors and more with the SOLAR 900 Peak Amp Ultra Portable jump starter. Ideal for consumer and light commercial applications. Compact, lightweight and portable. 8. 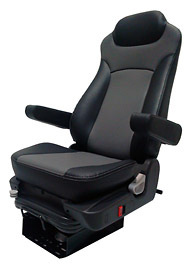 Drive comfortably with an air ride truck seat from Premium Seating. Driver comfort is paramount to a safe, healthy and productive driver and it all starts in the driver’s seat. And today’s driver seats are quickly evolving beyond the regular factory installed seat to an ergonomically designed seat with options such as lumbar support, side bolster support, seat tilt, extendable cushion seats, memory height, and even heated seats to perfectly support your body as you drive. For a comparison of the seats and the features of each, view our article “A Driving Force in Comfort”. For additional holiday gift ideas, visit us at www.ryderfleetproducts.com. 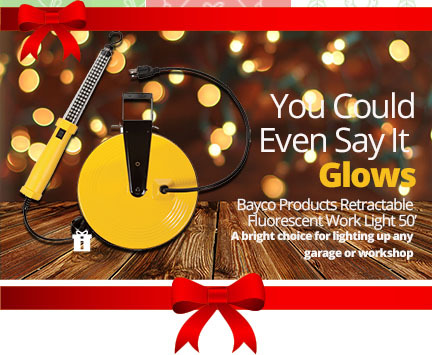 You can search by price, by brand and even by customer review to find great holiday gifts.